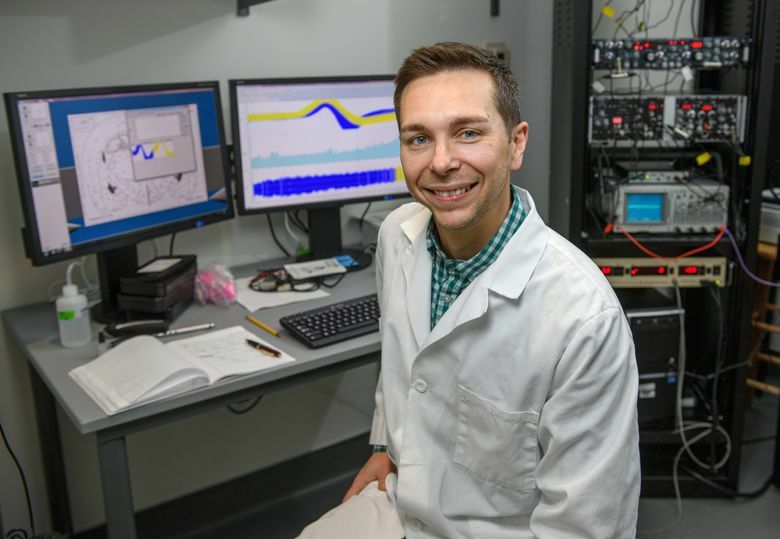 The offspring of lab rats that were exposed to marijuana smoke during pregnancy took longer to learn and comprehend tasks than rats whose mothers weren't exposed to THC, researchers found. 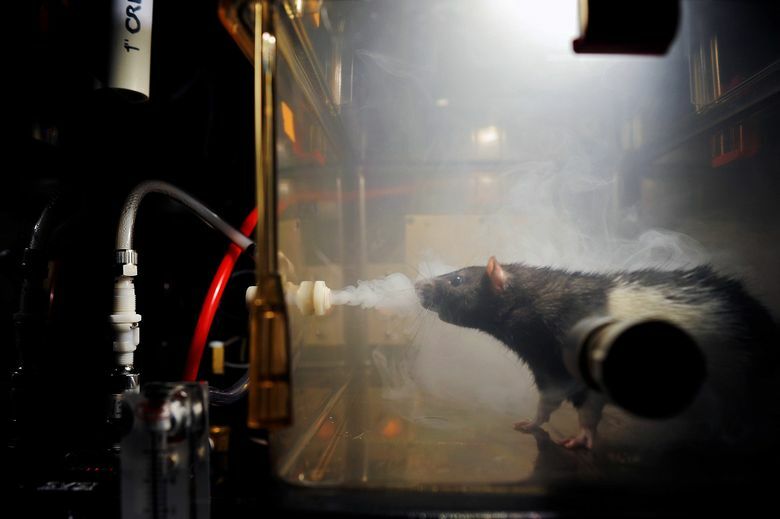 Rat offspring exposed to THC — tetrahydrocannabinol, the chief psychoactive ingredient in cannabis — and others that were not had to learn how to press one of two levers to get a sugar pellet reward. The correct lever was the one nearest a light. But then, the next day, there was a change. The rats had to press a right or left lever to get a reward, not the one closest to the light. The offspring of rats that never inhaled only took 50 to 70 attempts to figure that out and get 10 correct in a row, says McLaughlin. The THC-exposed offspring had trouble adjusting. A lot more trouble adjusting. They needed 100 to 120 attempts, twice as many, to get 10 correct in a row. How this research translates to people is that rats share with us 90 percent of their genome, an organism’s complete set of DNA. Nearly all disease-linked human genes have equivalent genes within the rat genome. Although only a small percentage of pregnant women say they smoked pot in the past month, their use has dramatically increased, according to a 2017 study in the Journal of the American Medical Association. Nationally, it has jumped by 62 percent from 2002 to 2014, to 4 percent of total pregnant women. In Washington, the discharge papers for pregnant women staying at hospitals — presumably for delivery but perhaps other reasons — indicate whether they had used drugs. The number of moms who said they had used marijuana but not any other drugs has “been steadily rising,” says a 2016 report by the state’s Health Services Research Project. Between 2011 and 2014, that number jumped by 24 percent to a high of 8 per every 1,000 cases, says the report. Marijuana was legalized in Washington state in November 2012. The highest rates were in southwest Washington, in rural counties like Pacific and Cowlitz counties; and in northeast Washington, places such as Ferry and Pend Oreille counties. Seattle and the north Puget Sound counties were among the lowest. “The chats are filled with women asking not whether marijuana could be harmful, but rather whether smoking marijuana could put them at risk of involvement from Child Protective Services,” according to the story. 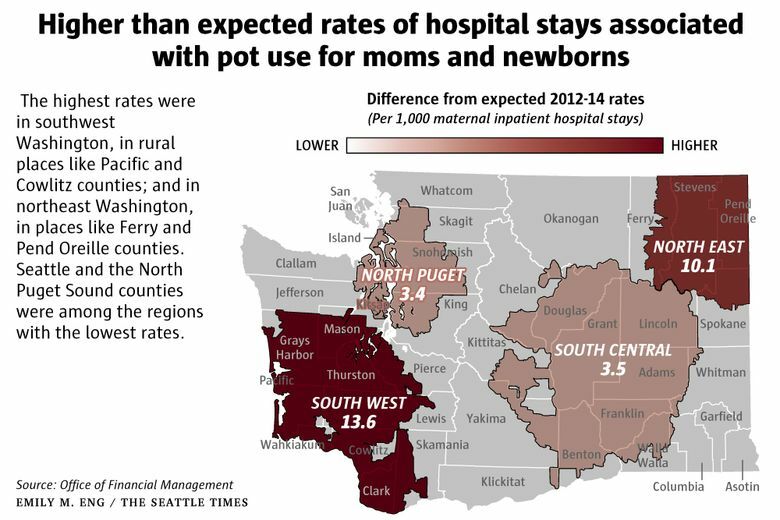 We should be flooded with warnings for pregnant women about pot use, said Susan Astley, a University of Washington epidemiology professor. But Astley says that’s not enough. She wants a publicity push about pot and pregnancy like there was with alcohol and pregnancy. Astley’s area of expertise is fetal-alcohol disorders, but in 1990 she did one of the early studies on women who use marijuana and breast-feed. That meant at age 1, a THC-exposed infant was lagging and only at the six-month stage in crawling or beginning to sit up. “THC likes to concentrate in fat, and breast milk is very high in fat,” says Astley. McLaughlin says he wants to continue with further refinements to the study. But then you see some rats directly poking their noses into the cloud. “It seems like they’re like intrinsically interested in vapor,” says McLaughlin.